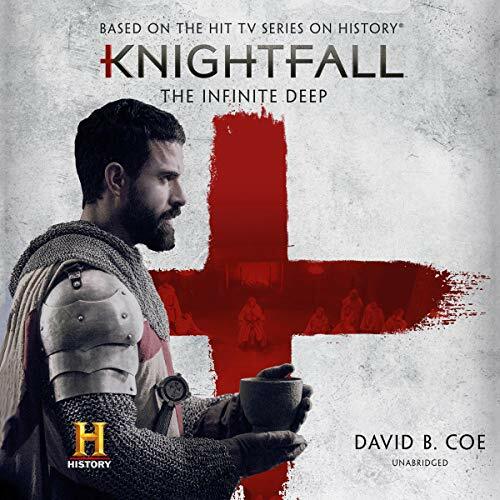 The first official Knightfall tie-in novel, charting the Templars' adventures after the Fall of Acre. Following the Fall of Acre, Landry, Godfrey, and the other survivors of the siege flee in a sailboat across the Mediterranean. Drifting for weeks, they try to land on Cyprus only to run into a dangerous Mamluk detachment. Running dangerously low on supplies, they are forced to take to the seas once more. Trying to land on the coastline of Turkey, they are ambushed by pirates and taken captive. Incarcerated on a remote island compound, Landry, Godfrey and the other Templars must plan their escape before all hope is lost. ©2019 A&E Television Networks, LLC (P)2019 Blackstone Audio, Inc.